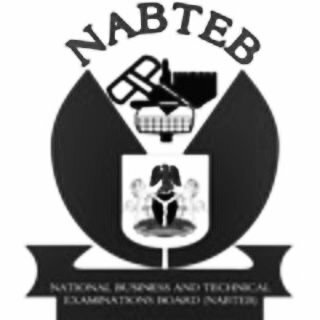 The National Business and Technical Examinations Board - NABTEB May/June NBC/NTC Examinations Registration Form | Price | Method of Application and Closing Date for 2019/2020 Session. The National Business and Technical Examinations Board - NABTEB has announced the sales of scratch cards pin for registration of the May/June 2019 NBC/NTC Examinations for 2019/2020 Session. NABTEB conducts examinations for the award of certificates in crafts and technical education in Nigeria. To register, candidates are advised to visit an Acredited NABTEB Examinations Centre or NABTEB zonal offices in Abuja, Kaduna, Yola, Osogbo, Enugu and Benin City, NABTEB Liaison Office in Abuja, Area Office in Lagos, and NABTEB state offices nationwide or visit https://registration.nabtebnigeria.org for more information. The registration, which is primarily for in-school candidates, is for examinations leading to the award of National Business Certificate (NBC), National Technical Certificate (NTC) and General Education Certificate. With General Education subjects integrated in the NABTEB examination structure, candidates with enough credits are qualified for admission to institutions of higher learning within and outside Nigeria. Candidates who pass all the required Trade subjects, Trade-related and General Education Subjects qualify as Certified Craftsmen. NABTEB qualified Craftsmen with NBC/NTC have opportunity to be employed, self-employed and employers of labour. NABTEB was established in 1992 to conduct crafts and technical examinations which until then was done by Royal Society of Arts of UK in accordance with the National Policy on Education. iv. Accreditated NABTEB Examinations Centres Nationwide. The examinations consist of examinable General Education Subjects and Trades at Ordinary Level. PERIOD OF REGISTRATION: NABTEB May/June biometric and online registration is expected to end on Monday, 29th April, 2019, while the examination is scheduled to hold from Monday, 6th May to Friday, 31st May, 2019. RECOMMENDED: Download NABTEB May/June Time-Table 2019/2020. ⎫ Candidates who pass all the required Trade subjects, Trade-related and General Education Subjects qualify as Certified Craftsmen. NABTEB qualified Craftsmen with NBC/NTC have opportunity to be employed, self-employed and employers of labour. They are also qualified to fill the existing skills gap needed for Nigeria’s technological advancement. ⎫ With General Education subjects integrated in the NABTEB examination structure, candidates with enough Credits are qualified for admission to institutions of higher learning within and outside Nigeria. Make sure your passport is 160px by 200px and size is less than 30kb. Click on the ‘Apply’ link. Fill in the PIN, and serial number gotten from the purchased scratch card. Fill the form displayed and submit. Write down your Candidate Number in a safe place. 2019 NABTEB May/June & Nov/Dec Scratch Card Price & Selling Points. Register Now for a Brighter Future. Remember that Holders of NABTEB Certificates have better Employment Opportunities. The Certificate also qualifies holders for admission into Universities, Polytechnics and Colleges of Education. CALL TO CANDIDATES: Potential candidates who have not registered should utilize this golden opportunity and go and register without further delay.